"Cleanses deeply, removes make-up from face and eyes and moisturizes in one step. It helps protect against the 3 main signs of sensitive skin: redness, tightness and dryness. The caring formula is enriched with Dexpanthenol and grapeseed oil." To be honest, I never really understood the use of micellar water. Did I say a hideous thing now? 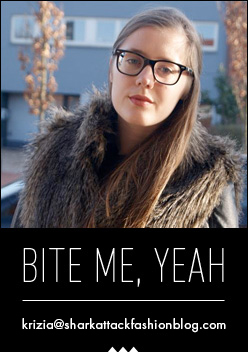 I've seen it pass on tons of beauty blogs, but I never had the urge to buy and try it myself. 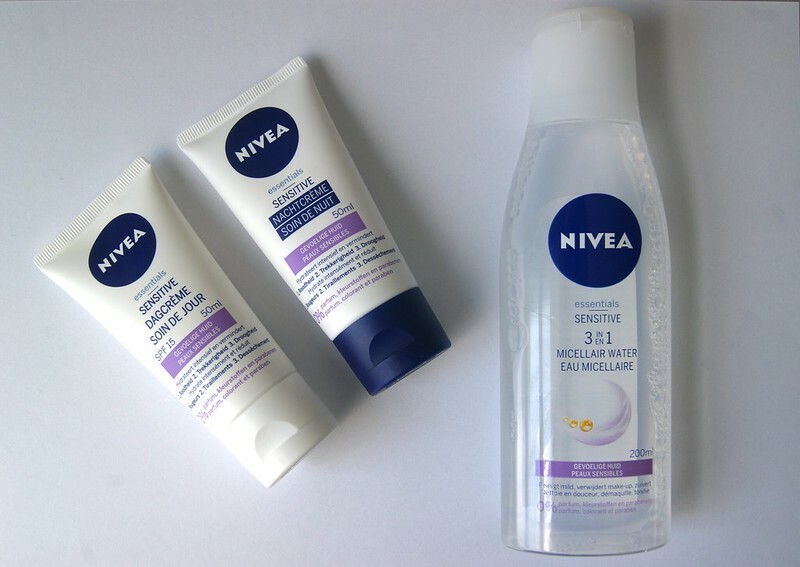 So when I received the Nivea 3 In 1 Micellar Cleansing Water, I decided to give it a try... And I'm still not too convinced. For the past couple of weeks, I used it to remove my make up before going to bed. Even though a lot of make up came off, I still had the feeling that my skin wasn't clean enough, after which I always washed my face with cleansing soap as well. I think this product is fine to remove the first batch of make up, but I wouldn't use it as the only product to clean your face before applying your night cream. Personally, I would use facial cleansing soap as well to be sure that your face is make up free. The caring formula enriched with licorice extract - known for its anti-inflammatory properties - and precious grapeseed oil: Helps calm the skin. Instantly relieves the skin of unpleasant feelings of tightness. Provides intensive moisture and supports the skin's natural barrier of resistance against irritants. The formula with SPF 15 helps protects from sun-induced premature aging." The first thing I love is that this day cream contains SPF. I have the feeling that some people really tend to underestimate the damage that the sun can do. Due to the fact that I have very light skin (and rarely get a tan) and low blood pressure, I never spend hours in the sun. However, my mom was and still is very keen on skincare and always stressed out the importance of SPF in skin products. So thumbs up for that! 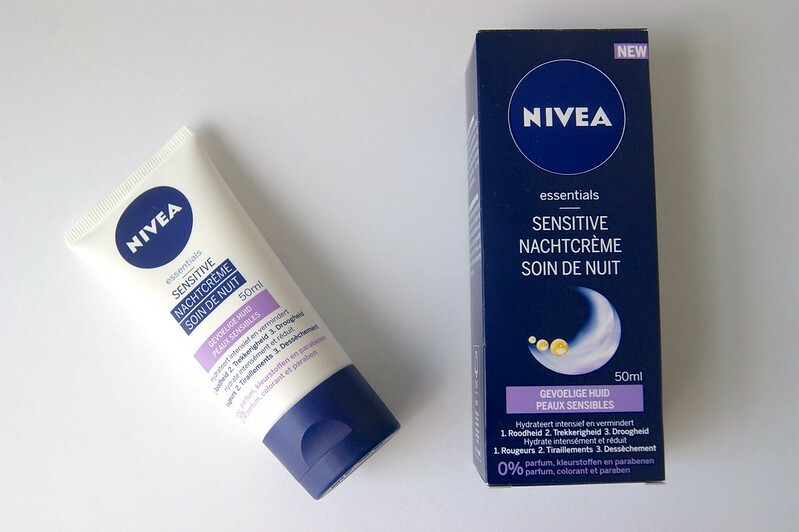 On the contrary to other day creams that I have used in the past, this one is more fluid. 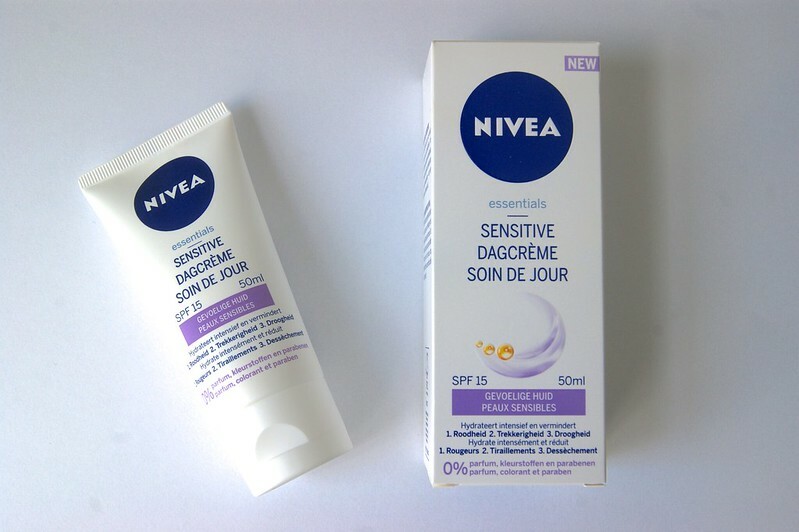 After applying it, my skin always looks kinda oily / greasy, but the cream gets absorbed very quickly. I usually brush my teeth after I have applied the cream and after that, my skin is ready for my foundation. Even though I still have (and probably will always have red spots on my cheeks), I do notice an improvement. I totally blanked out on taking before and after shots - oops - but the results are definitely there. The caring formula enriched with licorice extract - known for its anti-inflammatory properties - and precious grape seed oil: Helps calm the skin at night. Instantly relieves the skin of unpleasant feelings of tightness. Provides intensive moisture and helps strengthen the skin barrier. Supports the skin's regeneration process at night and provides a relaxed skin feeling in the morning. The night cream is a little bit thicker and creamier than the day skin, which isn't a problem since you wear it before going to sleep. I can be very short about this one: it's a good night cream. My skin feels soft when I wake up in the morning; I have no complaints. 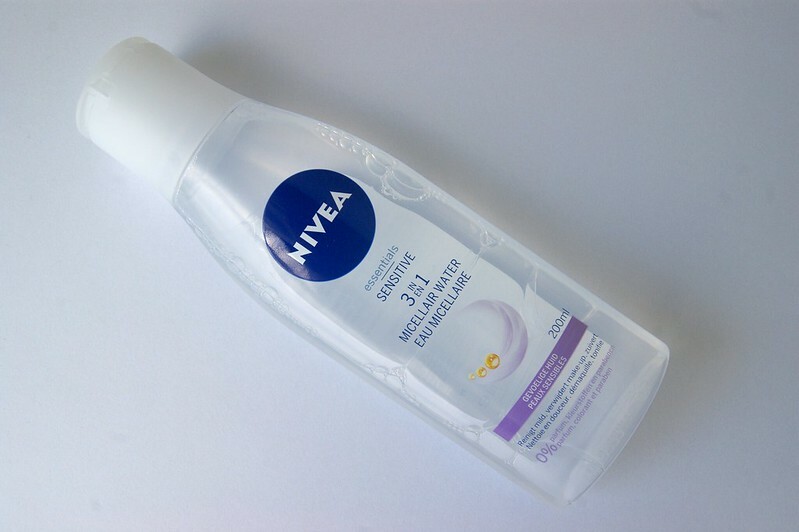 I really want to try the Nivea micellar cleansing water.